As one of the most advanced‚ effective methods of purifying industrial lubricants‚ hydraulic oils and similar fluids‚ ThermoJet® Oil Purifiers are a key element in our quest to keep your facility Up and Running. ThermoJet is a proprietary‚ patented technology that uses the principal of air/gas stripping to remove contaminants such as dissolved gases‚ light hydrocarbons and particulates from facility lubricants. It returns oil to like-new condition with zero impact on additives or properties. Such results simply cannot be achieved with competing oil purification technologies. It’s effective on a wide range of oils and viscosities from ISO 32 – 220. The H Series utilizes air to dehydrate lube oils and operates effectively on all three phases of water: free‚ emulsified and dissolved. Lubricant with a water content of 1‚000 ppm can be improved to less than 100 ppm within eight to ten passes of oil through the unit. Model 2000 has a flow rate of 180 gallons per hour‚ and removes one gallon of water per hour from contaminated lube oil (20 gallons per day)‚ depending on how “wet” the oil is. 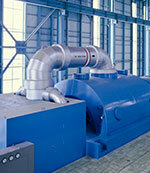 Model 4000 has a flow rate of 550 gallons per hour and removes three gallons of water per hour. 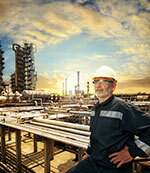 The G Series provides degassing services for seal oils. It utilizes nitrogen to effectively remove dissolved light hydrocarbon gases such as propane and hydrogen‚ restoring the oil’s flash point to like-new levels. Filtering lubricant system contaminants to levels unattainable through conventional or centrifugal systems‚ ISOPur™ Balanced Charge Lubrication Purification protects against sludge and varnish buildup in high-performance‚ mission-critical equipment. ISOPur’s patented technology – Balanced Charge Agglomeration (BCA™) – introduces current into the lubricant. Positive and negative charged particles as small as .01 microns are created within the fluid‚ which itself remains neutral as a non-conducting fluid. The charged particles attract each other‚ forming larger particles that are captured and removed via standard filtration. It also works effectively to prevent and remove varnish from internal components of steam and gas turbines‚ and compressors. Benefits include prevention of catastrophic failure‚ lubricant life extension – as well as that of the components they serve – while reducing plant maintenance. 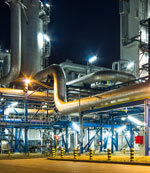 For immediate water removal in lubricants‚ we offer vacuum dehydration equipment and services onsite. 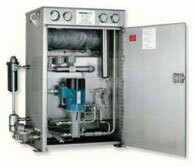 Our best-in-class vacuum dehydration units are also available for rent. The Reliability Services VDUs utilize a vacuum dehydration process to remove free water‚ emulsified water and dissolved water from oil‚ as well as fine particulates and gases. These systems are self-contained‚ skid mounted and offer a P.L.C. controlled full status control panel for a fully automatic operation. Standard VDUs are offered as stationary and portable for continuous or periodic attachment to an oil system.